Confined by muscular dystrophy to a wheelchair since age 13, Jane Burdette never let her disability slow her down. In fact, she used her experience as a platform for a lifetime of advocacy for the disabled. An outstanding volunteer since childhood, the Junior League of Parkersburg member and former vice president didn’t join the League until she was 33. As the executive director of the Parkersburg YWCA, she came to JLP because of its commitment to community projects. When asked, she tells people that the attraction of League membership was two-fold. First, it provided an opportunity to be involved in major projects in the Parkersburg community and, second, it gave her access to the League's training program. Her career has encompassed both the not-for-profit and for-profit sectors but her focus has been on organizations that help others, particularly the disabled. Working first as a fundraiser and recruiter for the Muscular Dystrophy Association, she moved on to SW Resources, a non-profit, community based rehabilitation facility in Parkersburg that provides employment opportunities to client-employees with disabilities. More recently, she was the executive director of the YWCA of Parkersburg before becoming a consultant. She maintained her volunteer status in the community, serving in leadership roles for the Wood County Commission on Crime, Delinquency and Correction, the Parkersburg Community Organization on Disability, the West Virginia Rehabilitation Advisory Council, the West Virginia Task Force on MDA, and the Children’s Discovery Center Museum. More recently, in order to provide support for charitable causes important to her, Jane established an advised fund at the Parkersburg Area Community Foundation. Jane’s commitment to lasting community impact has not gone unnoticed. 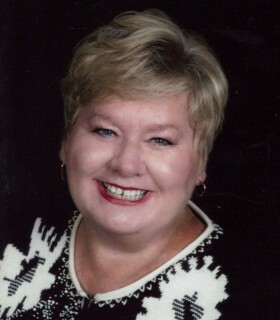 She has been accepted into the National Hall of Fame for Persons with Disabilities and has received the Jefferson Award for West Virginia, the Helping Hands Award, the Good Neighbor Regional Award, the MDA Personal Achievement Award for West Virginia, and the Jennings Randolph Award from the West Virginia Rehabilitation Association.